Taran Ramage estimates he would be making twice as much as he is now if he kept climbing the corporate ladder providing tech support for San Francisco startups. Instead, Ramage joined TechCollective in 2009. 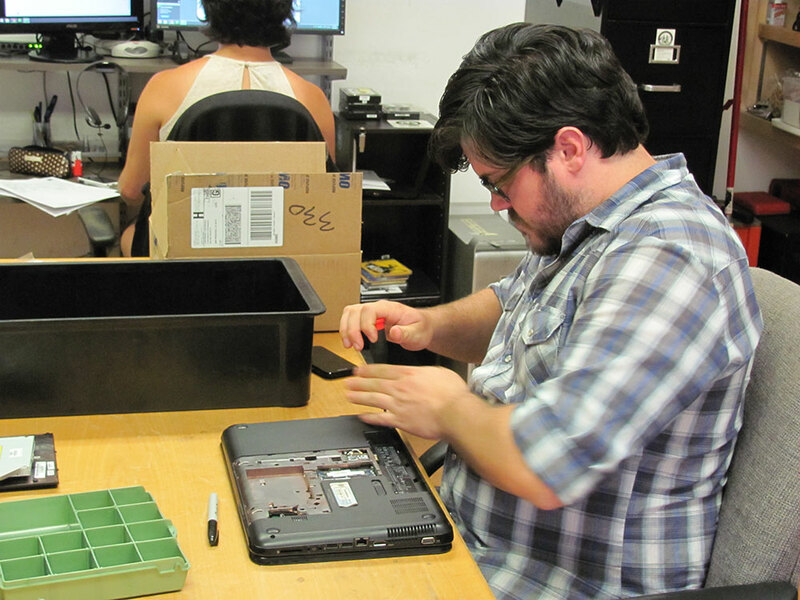 A small, worker-owned tech support company, TechCollective was founded in 2007 by four tech workers who felt disenfranchised at their corporate jobs. As a small-scale company, most of the work Ramage does is on the personal level. The Bay Area is a hotbed of co-ops and home to NoBAWC—the Network of Bay Area Worker Cooperatives, a local branch of the U.S. Federation of Worker Cooperatives. Worker cooperatives are democratically run, worker-owned businesses. At TechCollective, newcomers go through a six-month trial period as an employee before the other members vote them in unanimously as a new worker-owner. Once a month, the group meets to talk about all aspects of the business, from daily operations to long term strategy. NoBAWC assists existing Bay Area cooperatives while trying to expand the cooperative movement’s stake in the economy at large. John Curl, a board member of NoBAWC and a worker-owner at Heartwood Custom Woodworking in Berkeley, also sees the cooperative movement as a social justice issue. Before founding his shop in 1974, Curl worked in a cabinet factory. And starting a cooperative made financial sense, as well. “Unless you come from a rich family, you are not going to be in a position to open a woodshop,” he said, and one benefit of the co-op model is that co-workers share the financial risks. There are 223 worker cooperatives nationwide that collectively bring in nearly $220 million of revenue annually, according to a University of Wisconsin Center for Cooperatives study using federal data from 2006. The study also found that while worker cooperatives employ more than 50,000 worker-owners, worker cooperatives make up only 1 percent of the total cooperative population. Consumer cooperatives, defined as a business that buys goods wholesale to sell to its members, made up 92 percent of that market. R.E.I. is the largest consumer cooperative in the country. Ramage and Curl attribute the high concentration of worker cooperatives in the Bay Area to the liberal and progressive leanings of the region. Although cooperatives receive less legal attention at the national level, U.S. Rep. Chaka Fattah, (D-Pa.) introduced the Creating Jobs Through Cooperatives Act to the House of Representatives in 2013. The bill aimed to establish a program within the Department of Housing and Urban Development to provide startup funds for cooperatives. It would have allocated $25 million a year from 2013 to 2017, but the bill never left committee. Requests for comment from Fattah’s offices were not immediately answered. Job growth isn’t the only reason why investing in cooperatives might be a good idea. Co-op workers are more likely to be satisfied with the pay and training opportunities they have, according to a 2010 report titled “Do Workers Gain by Sharing?” published by the National Bureau of Economic Research. And that job satisfaction leads to a more reliable workforce and lower turnover, it says.